The second generation Suzuki Ertiga is built on a new platform, gets a complete design overhaul and is more spacious too. 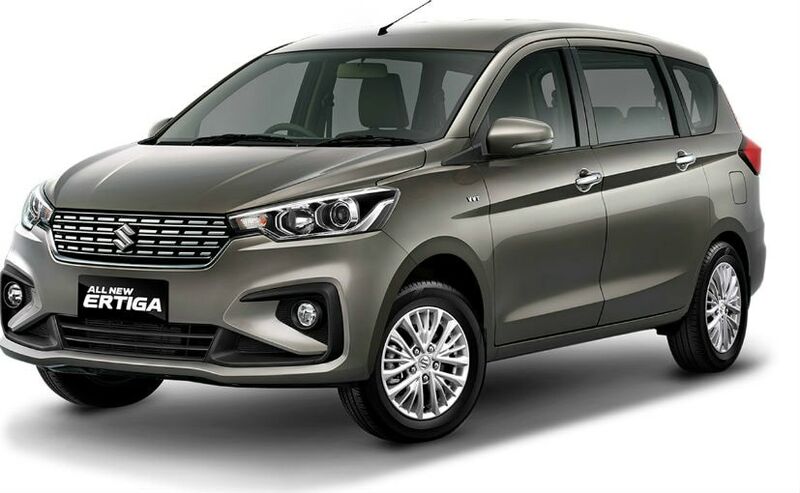 The second generation Suzuki Ertiga (Maruti Suzuki Ertiga in India) made its debut at the Indonesia International Motor Show 2018 and the model is certainly a massive overhaul, compared to the current version. 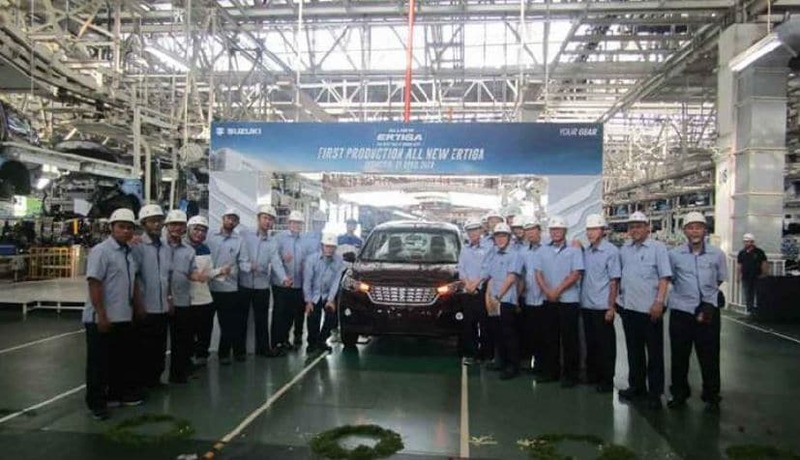 Just days after its global unveil, Suzuki Indonesia has commenced production of the 2018 Suzuki Ertiga for the South East Asian markets at its Cikarang facility. The all-new Suzuki Ertiga gets a completely new platform, design and powertrain, and commands a locali sation level of 84 per cent for the Indonesian market. The MPV will come to India as well later in the year. The 2018 Suzuki Ertiga is underpinned by the brand's new Heartect platform shared with the new Baleno and Swift hatchbacks. The new Ertiga looks more upmarket with its new design language that seems to have taken inspiration from from a host of models, more prominently the Toyota Innova Crysta. The upright hexagonal grille, flanked by sharply styled headlamps with projector lens and LED DRLs are eye catchy, while the rear quarter-glass has a strong resemblance to the Innova. The rear profile too gets new L-shaped taillights with LED light guides which seem inspired. The new generation Suzuki Ertiga MPV has grown in dimensions measuring 4395 mm in length, 1735 mm in width and 1690 mm in height, while the wheelbase remains the same at 2740 mm. The ground clearance has gone lower by 180 mm over its predecessor, while boot capacity has increased to 803 litres with the second and third rows folded. That said, the seven-seater promises to be a lot more spacious on the inside and comfortable too. Borrowing from the larger Suzuki parts bin, the 2018 Suzuki Ertiga gets a host of features including 15-inch alloy wheels, touchscreen infotainment system with Apple CarPlay and Android Auto, ven tilated cupholders, new fabric upholstery for the seats, wood inserts across the cabin and much more. The company has missed out on climate control on the new Ertiga, which we think is a big miss. For the Indonesian market, the new gen Suzuki Ertiga will draw power from the all-new 1.5-litre K-Series petrol engine tuned for 104 bhp at 6000 rpm and 138 Nm of peak torque at 4400 rpm. The motor will come paired to a 5-speed manual and a 4-speed automatic transmission. 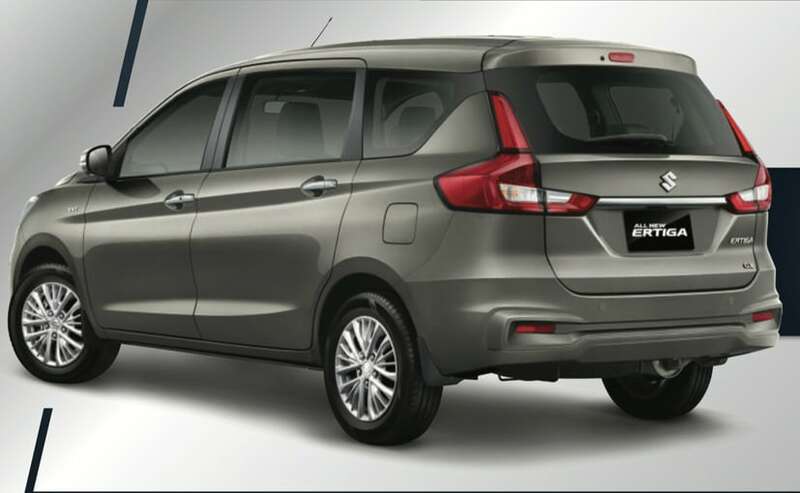 The 2018 Suzuki Ertiga will be launched officially in Indonesia on May 12, 2018 and is currently available for pre-bookings for 5 million Indonesian Rupiah (around â¹ 24,000). Meanwhile, the the new gene ration Ertiga will be making its way to India later this year around August-September. The MPV has been a popular seller for the automaker and with the upgrades, should carry the popularity forward. The new Ertiga competes with the Renault Lodgy, Honda BR-V, as well as the upcoming Mahindra U321 MPV in the segment.